Topic for today from winter-approaching Japan is about ramen! 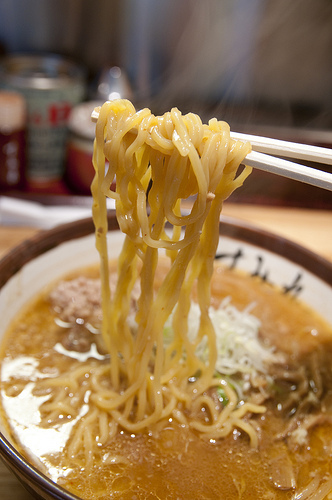 Ramen is no longer a mysterious food in Asia, and has passionate fans all over the world. JapanStyle has been introducing stories about ramen many times, but today’s story is ‘whether there is a correct way to eat ramen’, which was discussed in a news website. The discussion started with a scene of the ramen film, ‘Tampopo’, directed by Juzo ITAMI. After I watched this film, I actually imitated this ramen eating method once for a fun, but just for once, and I always finish eating before I know it (’－’；) Now, is this wrong way to eat ramen? The answer seems to be No. You don’t have to worry whether your style of eating ramen is correct or not. 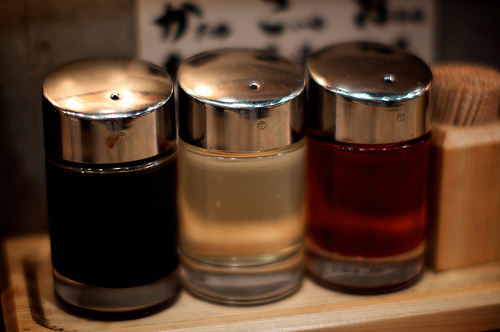 The article says that ramen doesn’t need anything like beautiful table manner, but remember a few things when you eat. So when it comes to a bowl of ramen, served in a restaurant, I can imagine that it is filled with love and hidden hardship of chef. In respect for ramen chef, it is better to taste it as it is served first. Another advice from a ramen lover is to eat ramen, served in the best condition, in its best timing. 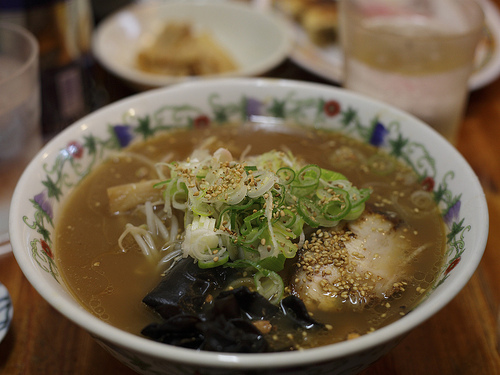 Lukewarm soup and overly-softened noodle are sign of not ideal ramen. Chefs will cook and serve you a bowl of ramen as quickly as possible, so dig in when it is in the best condition!